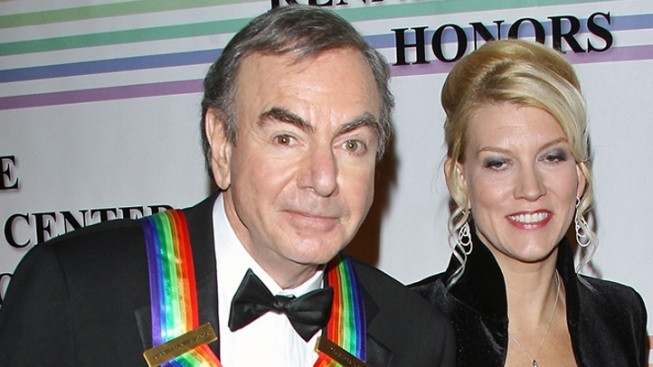 Neil Diamond has just married his 29-years-younger manager Katie McNeil, the singer's rep confirmed to People. No more "Love on the Rocks" for Neil Diamond – the legendary musician is a happily married man! The 71-year-old singer wed his manager, Katie McNeil, 42, in an intimate ceremony in Los Angeles on Saturday, his rep confirmed to People. This is the third marriage for the "Sweet Caroline" crooner, and Katie's first trip down the aisle. Neil first announced his engagement back in September via Twitter. "Good news coming from sunny LA/ and you're the first I want to tell/ Katie & I just got engaged/ and I hope you wish us well," he Tweeted at the time. "I'd like you to meet Katie," he continued, posting a picture of his new fiancee. "I'm lovestruck." Katie produced "Neil Diamond: Hot August Night NYC," a documentary on the living legend. In related Neil news, the singer will kick off a summer tour in Ft. Lauderdale, Fla., on June 1, with multiple dates in Los Angeles in August.